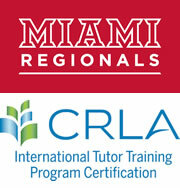 We are pleased to offer peer tutoring support to E-Campus students for many Miami Plan courses. Choose from Google Hangouts, Online Writing Tutoring, or an appointment with a tutor at one of our Tutoring & Learning Centers. Do you need help with a paper assigned for a Miami University Regionals class and are unable to schedule a face-to-face tutoring session through one of the learning assistance offices? You may want to submit your COMPLETED ROUGH DRAFT to be reviewed by an online writing tutor. Complete the Online Writing Tutoring Form and follow the instructions to attach your paper. If the paper meets the criteria for online writing tutoring, you will receive your paperback within 2 business days with tutor comments. (If not, you will receive an email referring you to our regular writing tutor face-to-face service at our Middletown or Hamilton Tutoring & Learning Centers.) We are excited to offer this new service and look forward to helping you strengthen your writing. COME IN person to the Tutoring & Learning Center (TLC) on Hamilton Campus in Rentschler Hall, Room 102 or on Middletown Campus in Johnston Hall, Room 1. We understand that not everyone can attend our in-person workshops, so we've collected some useful online resources in the form of videos. These resources will help you gain the same kind of skills as if you had attended our workshop.